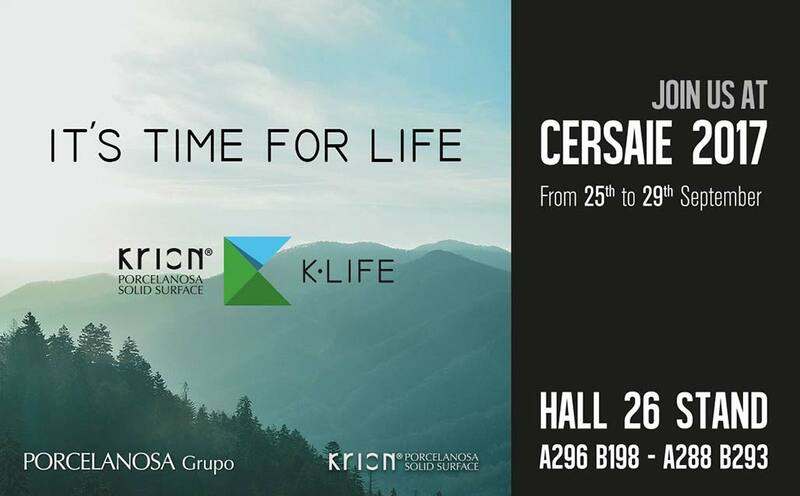 Another year, the PORCELANOSA Group, faithful to its appointment with one of the most important international exhibitions in the ceramic and bathroom furniture sector, will be present from the 25th to the 29th of September at CERSAIE 2017. The eight companies of PORCELANOSA Group are decked out to present the new additions that will be trending in 2018, and to consolidate the collections that are being held during 2017. You can visit us in Hall 26 Stand A296 / B198 – A288 / B293, we are waiting for you!! !